Purchasing or leasing a car is a big deal, you do plenty of homework prior to visiting the dealership and there’s plenty to cover once you take delivery. I know that things like the vehicle’s service warranty can easily be an after-thought once you drive off the lot, or not thought about until something happens that needs attention. For many things in our lives we’ve been told it’s best to take preventive action rather than reactive. The same can be said for your car’s warranty. I want to share 3 simple tips to help you maximize your car’s warranty and maximize the lifespan of the vehicle too! 1. Understand Your Warranty, Front to Back – It isn’t unusual for people not to know the details of their warranty. It’s not a bad thing to understand the exceptions that can be found in most factory warranties. You may want to sit down with a Service Manager or one of the Service Advisors to understand what parts of your vehicle aren’t covered by, or limited inside the warranty. You may find that brake pads, rotors, tires, wipers, belts, batteries, hoses and certain electronic components have exclusions or exceptions because they are considered to be items that suffer from regular use and consequential wear and tear. All factory warranties are different; don’t assume they are apples to apples. 2. Adjustments Are Good – Concerned about the way something is operating or handling shortly after purchase? Call our service department so we can look at it for you. You will find that a lot of these small adjustments or checks are all covered by your warranty. We would recommend that you make a solid list of things you’d like checked or adjusted. There are some warranties that state you have a limited number of adjustments allowed over the course of the warranty. Make good use of them! 3. Toyota Warranties Welcome! 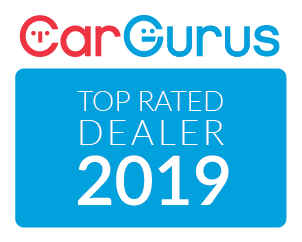 – There is a small percentage of buyers out there who think that they have to honour their warranty service visits at the dealership they bought from. Not so. If you’ve just moved into the Mississauga or Etobicoke area and you recently bought a Toyota in say, eastern Ontario you can bring your Toyota into Mississauga Toyota for your warranty services. Simple. My name is Daniel Pellico and I’m the Fixed Operations Manager here at the dealership. My team and I will be happy to meet with you to assist you with any warranty questions you may have. We’re really easy to find – 2215 Dundas St E, in Mississauga, Ontario. Near Hwy 427 & Sherway Gardens.